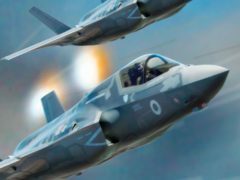 The UK’s F-35B Lightning stealth fighter jets will start their first overseas deployment in Cyprus later this year. RAF jets were scrambled after Russian bombers flew over the North Sea, the MoD has said. A Second World War Spitfire pilot has finally been laid to rest 70 years after his plane was shot down in Italy. The RAF has taken 20 tonnes of life-saving aid to survivors of the devastating Cyclone Idai which has torn through three southern African countries. The Royal Air Force has led commemorations for the 75th anniversary of the Great Escape. The RAF Tornado has completed its final flight in a flypast over the disbandment parade for the jet’s last two squadrons. RAF strikes in Iraq and Syria killed and injured an estimated 4,315 enemies with just one civilian fatality, according to estimated figures released by the Ministry of Defence. The first female three-star commander in Britain’s armed forces has said she is “delighted” with her appointment and is “looking forward to the challenge”. 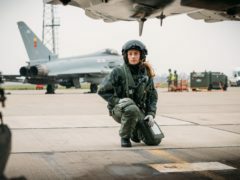 A Royal Air Force advert that challenges sexist stereotypes of women in advertising will make its debut after winning £1 million of free airtime on Channel 4. The RAF’s Tornado jets have returned home to the UK for the last time as the iconic aircraft prepares for retirement after almost 40 years in service. 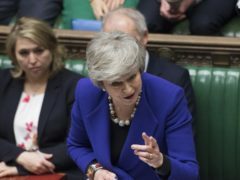 A “simple human error” by BBC producers made it appear as if Theresa May was travelling to Brussels in a fleet of Second World War bombers to reopen negotiations with the EU. The last ever pilot to be trained for Tornado jet operations by the RAF has said it will be “emotional” when the aircraft is retired this year. Three specially-painted RAF Tornado jets flew together for the first time in what is the aircraft’s retirement year. A damaged north-east war memorial could take several months to repair, a council has said. Fred and Lesley Higgins, from Laurencekirk, who won the Euromillions draw, took part in the event for RAF Association members in Leuchars. Up to 20 new council homes will be offered to those leaving the armed forces or to the spouses and dependents of those who have died while serving. The RAF is flying onto screens with a new augmented reality app that will allow anyone to experience the historic RAF100 formation flypast from the comfort of their own home. Three RAF veterans from the north-east have cycled the North Coast 500, smashing their fundraising target. Plans for a major north-east solar farm project have been welcomed. Film footage of a pioneering flight from Aberdeen to Norway is to be exhibited at a new attraction. Veterans of the Royal Air Force have paid tribute to its North-east legacy as it marks a milestone 100th anniversary. We’ve taken a look back through our archives and dug up these images of the varied aircraft that have visited the North-east. 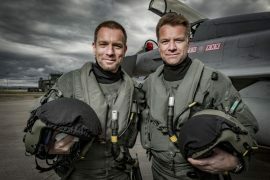 Hollywood star Ewan McGregor will “take to the skies” to celebrate 100 years of the RAF in a new BBC documentary. Troops from a North-east air base have returned from a six-week mission training soldiers in Nigeria. An Aberdeen councillor, who served in the RAF, has welcomed the news of £600,000 funding for veterans and ex-service charities. An RAF tanker aircraft narrowly avoided a mid-air collision with two US fighter jets, a report has revealed. A Corporal will run 11 marathons in 11 days as part of a 100 marathon challenge. Two fighter jets passed less than 300ft apart in a near miss in the North-east.